Divine force! Ganesh chaturti is a hindu festival celebrated in honour of elephant-headed god Ganesha. On 10th day of the festival the ganesha idols are immersed in flowing natural waterbody and left to dissolve in a process called visarjan. 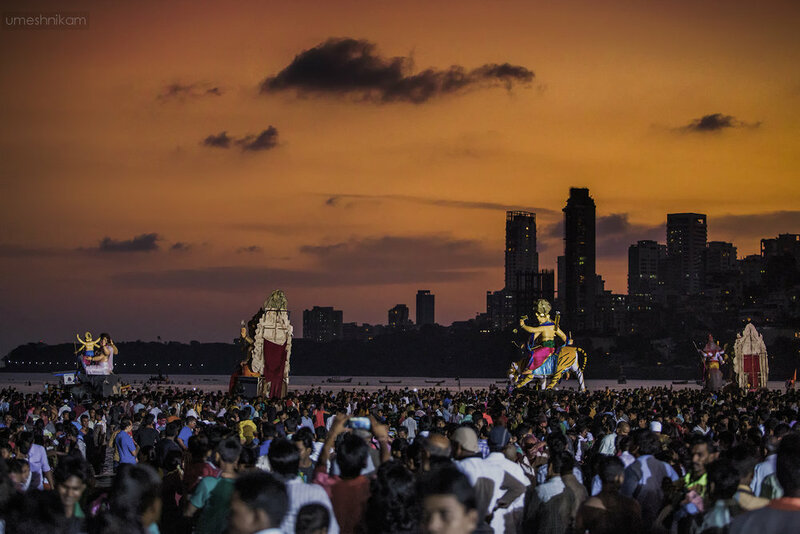 In this photo, Mandal karyakarte pull the chariot in to the arabian sea.